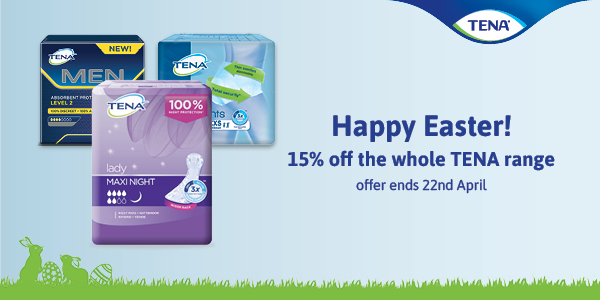 TENA aim to provide quality care for all individuals, creating products that provide you with dignity. The brand does not only provide incontinence protection, with the TENA Bib providing protecting against meal time spills. The TENA Bib has been designed to provide hygienic and comfortable protection whilst you enjoy your meal. It acts as a convenient, disposable serviette bib. The bib features a front pocket to collect any spills and protect your lap. The integral back ties in the bibs secure the serviette in place close to your neck. Two cellulose layers in the bib are included to effectively absorb fluid. 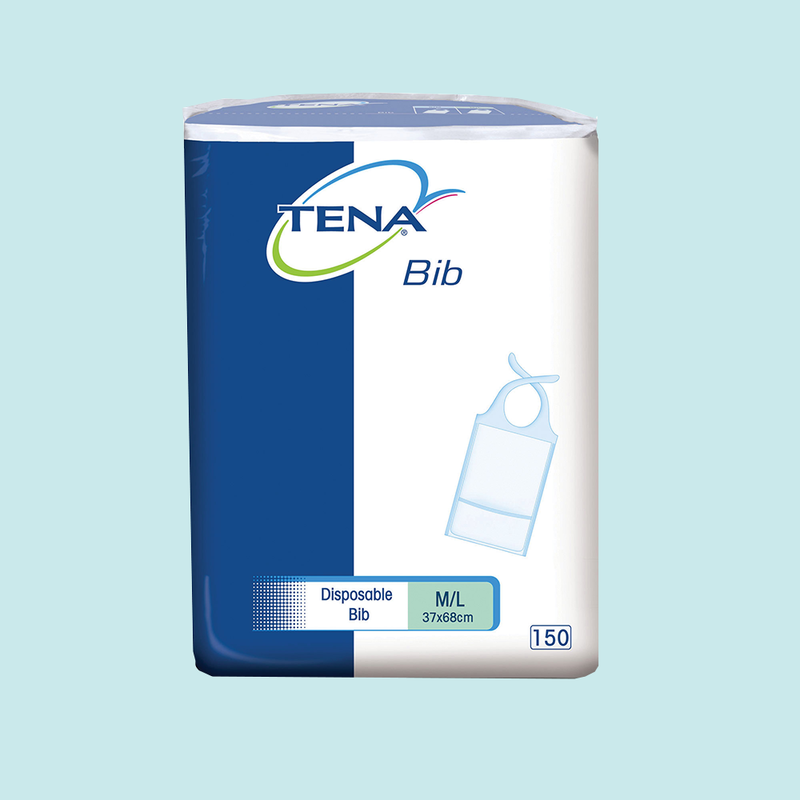 TENA Bib is covered in a plastic layer, creating a shield against any spills. These bibs are particularly suitable for bedridden patients. You can use the TENA Bib alongside our Clinell Universal Sanitising Wipes to keep your surroundings clean during meal time. You can purchase TENA Bibs in sizes Small/Medium (37x48cm) and Medium/Large (37x68cm).